"This vivid and harrowing story will burn a radioactive crater in your memory that will never let you forget it"." 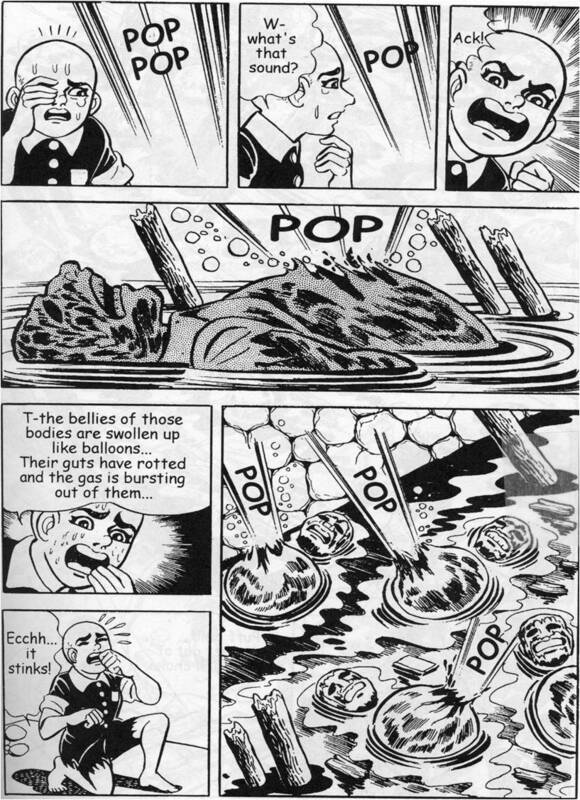 "Barefoot Gen is the powerful, tragic, autobiographical story of the bombing of Hiroshima and its aftermath, seen through the eyes of the artist as a young boy growing up in Japan. The honest portrayal of emotions and experiences speaks to children and adults everywhere. 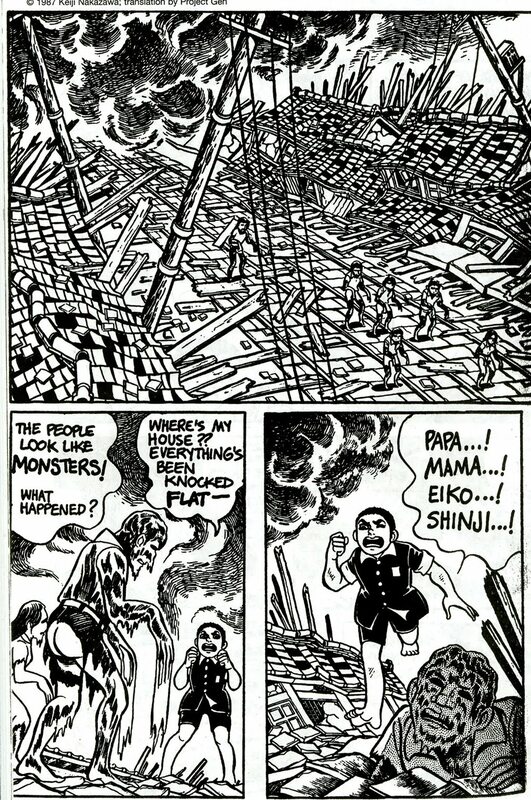 BAREFOOT GEN serves as a reminder of the suffering war brings to innocent people, and as a unique documentation of an especially horrible source of suffering, the atomic bomb." First of ten books in which young Gen has to grow up very fast indeed, and everyone is dripping in sweat which doubles as comicbook shorthand for extreme anxiety or the level of hysteria generated when your experiences are no longer comprehensible or compatible with any sane response. Intense doesn't even begin describe this, plus you can also see so much of Tezuka in here. It's a long, long, long time since I read this, but I recall that much later volumes finally see him taken under the wing of a kindly artist, start to express himself and then find love, but the effects of the bomb are never far off, nor other hard realities like the corrosive effects of drug addiction, and the arms industry given a business boost by Korean War. It's all based to some extent or another on personal experience, and Nakazawa gave an eye-opening interview to THE COMICS JOURNAL in which he talks in detail about his family, the day the bomb dropped, and the deafening silence in Tokyo afterwards about the Atomic bomb whose radiation was rumoured to be contagious.